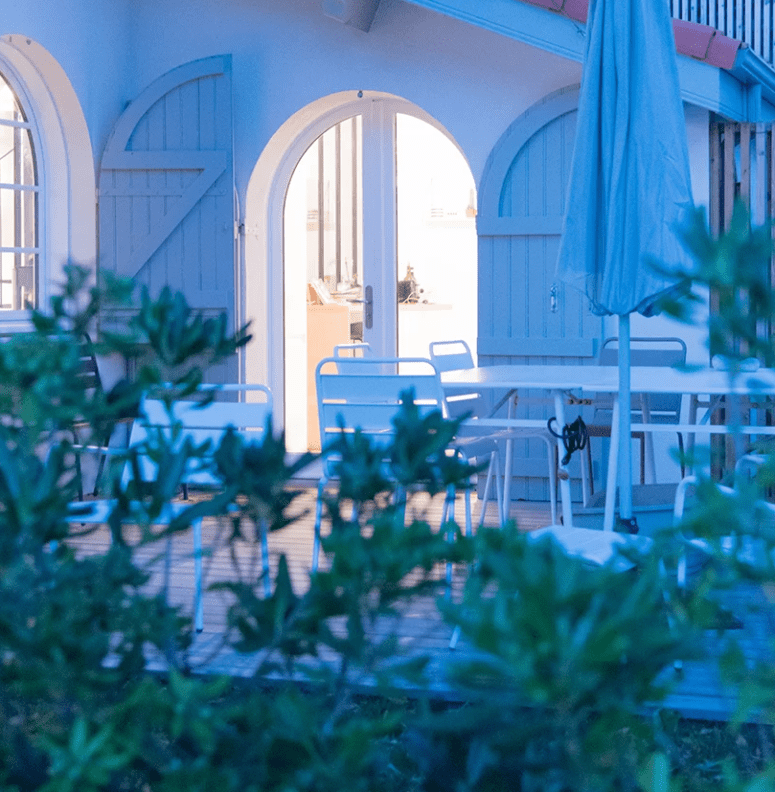 Bordeaux-based architecture studio Senecio has completed gGzouillis, a 70 sqm renovation project that comprises the interior design and extension of a 65 sqm house in the southwest ocean coast of France. 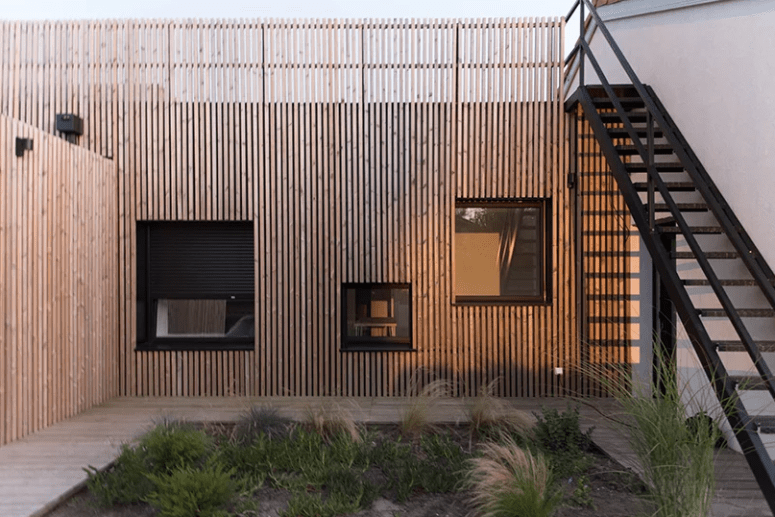 Clad in perforated pinewood from the local forest, the residence includes a small, calm garden which has been conceptually extended by enabling access to the rooftop through a staircase. 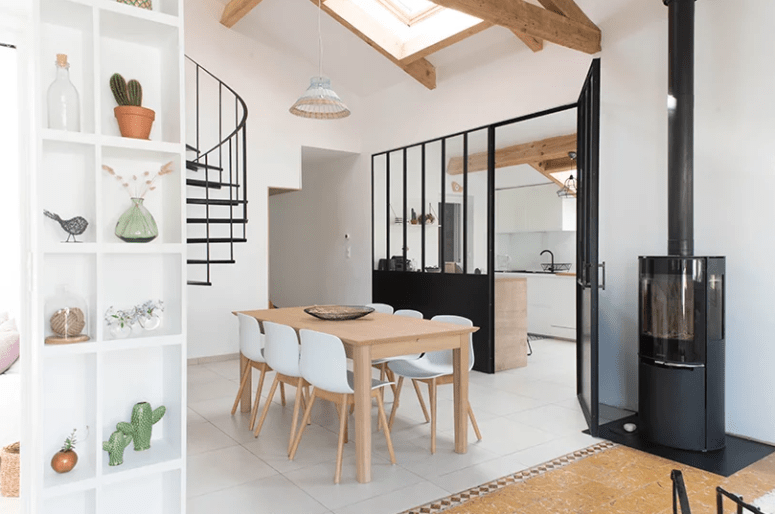 Senecio has extended the existing house by adding three new bedrooms, a bathroom, sanitary, and a cellar, while the rooftop terrace offers access to great views of the peaks of the Landes pines. 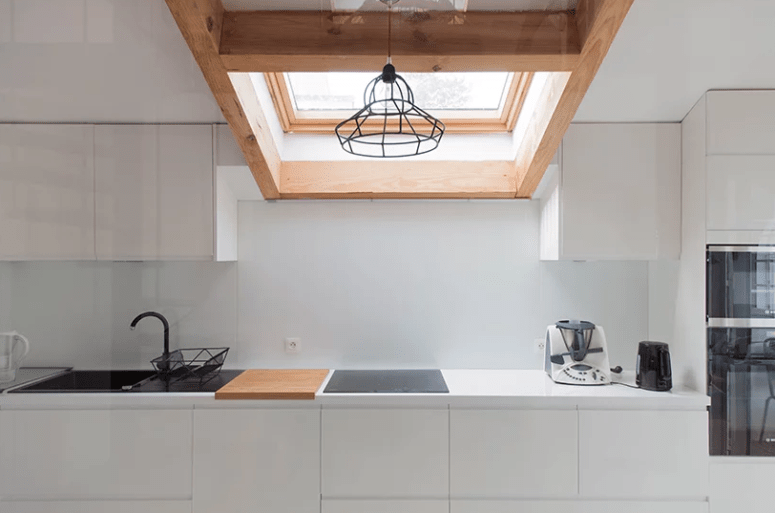 The kitchen opens to the west where family dinners are held on the outdoor terrace during warm evenings, and a window workshop in the interior has replaced a wall of the house to separate kitchen and lounge. 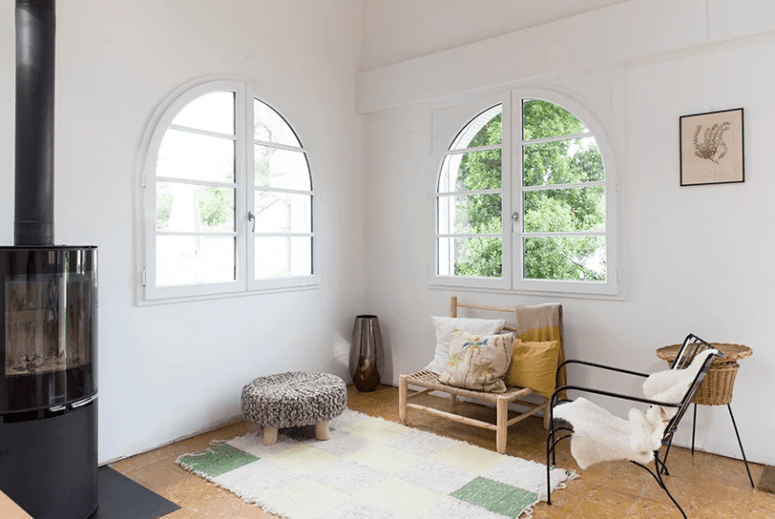 There’s an attic space, which is a great nook to escape and feel a bit more private. A cozy nook with quirky seatings feature a cool hearth for more comfort. The existing walls have been repainted in light gray and white, while the false ceiling inside was deposited to free the cathedral space and the original wooden frame. A large bookshelf unit hides a door to a small bathroom behind it. The interior decor is contemporary and chic, with somewhat a Scandinavian feel. The spaces look very airy, lively and fresh, they are very welcoming and cool. 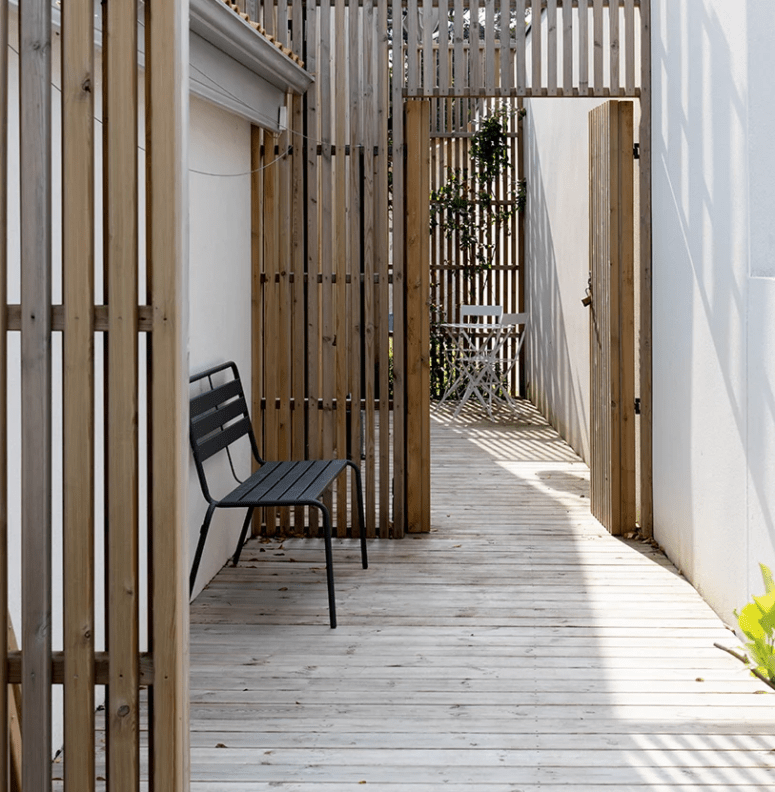 The outdoor spaces are separated with the same pine wood screens that cover the whole house for more harmony. 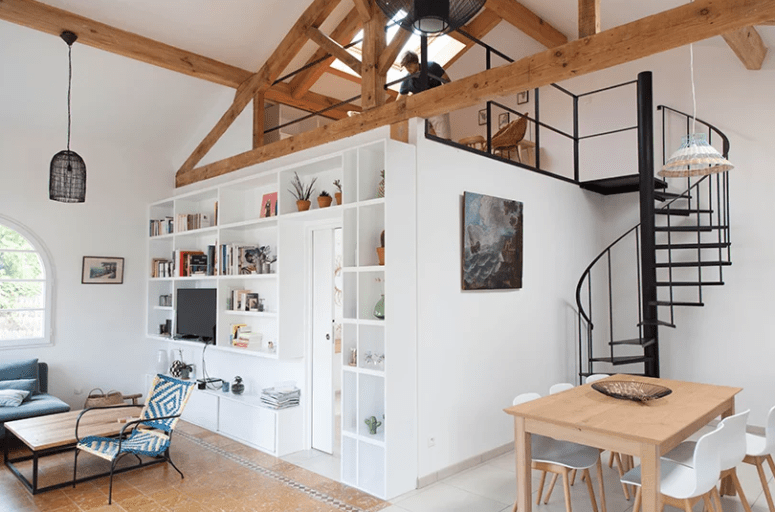 Take a look at the pics below and steal soemthing for your own spaces!